Despite a court ruling last week that the northern NSW music festival Bohemian Beatfreaks could go ahead, the NSW Police Force (NSWPF) was able to push the event interstate by charging the organisers exorbitant user pays policing fees that had the potential to bankrupt them. Police were initially trying to close down the festival over safety concerns. However, after festival organisers Rabbits Eat Lettuce sought to challenge the shutdown in court, the NSWPF then issued a close to $200,000 quote for policing services for the event. An earlier quote for festival policing was for $16,000, which was more in line with the policing cost for the five festivals the organisers had already held at the Kippenduff site with no safety issues since 2015. At the prior events, there were two officers present during the day, and four at night. 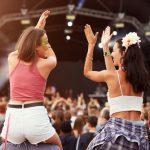 Following the decision of the NSW Land and Environment Court to let the festival go ahead with extra safety conditions, event organisers were told they still had to fork out $105,000 for policing services. This would have involved 57 officers charged with policing just 3,000 punters. This sent event organisers and festivalgoers over the border into Queensland where the festival went ahead last weekend, while NSW authorities were patting themselves on the back over another successful assault upon this state’s increasingly beleaguered festival industry. 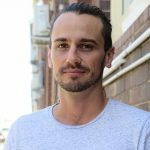 Mr Shoebridge explained that over recent years Local Area commanders have been treating the user pays policing services as a “cash cow”, but now, following the Berejiklian government’s music festival safety review, it’s being used “as a means of shutting down music festivals they don’t like”. The NSWPF user pays policing policy is a system where organisers are charged a fee for policing at their events. Introduced in 2004, the scheme has been condemned by event organisers in the past as an avenue for ripping them off. The current fee per officer is $127.80 per hour. But, Bohemian Beatfreaks is not the only festival to have recently fallen victim to high user pays policing fees. Sydney’s Good Things festival announced last week that it’s no longer able to cater for under-18s due to “excessive police presence and exorbitant fees”. 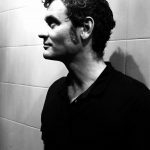 According to Shoebridge, if the police continue to use this policy “in a similar way, particularly at other regional and non-metro music festivals, it will mean the death of that part of the festival industry” which he asserts is “a real tragedy”. However, over-charging is not the only anti-festival tactic police are utilising. “There is no question that the NSWPF, with the strong political support of the Coalition government and premier Berejiklian, are grossly over-policing music festivals,” Mr Shoebridge told Sydney Criminal Lawyers®. The most blatant example of saturation policing at a recent festival is the 194 officers that were deployed at the Defqon.1 festival. And despite this heavy police presence, with accompanying sniffer dogs, two young Australians died at the September event. During the aggressive show of force at Defqon.1, officers carried out 335 searches following drug dog indications. Only 70 searches resulted in illicit substances being found, and just 9 of these were drug supply cases. So, 80 percent of the time punters were searched it was unwarranted. Following the deaths at Defqon.1, NSW premier Gladys Berejiklian established an “expert panel” to investigate music festival safety. However, the premier made clear that the panel members weren’t to consider pill testing. Pill testing is the tried and tested harm reduction approach that allows young people who are going to take drugs at festivals to check the contents of them to see if they’re toxic or could even prove fatal. At the moment, youths are popping pills with no idea what they’re taking. But, Berejiklian came out swinging with an intensified tough on drugs stance, proposing up to 25 years behind bars for supplying someone with a pill that turns out lethal. And as many friends pass on drugs to their mates, this could lead to two young lives lost over one preventable death. Outlined in the NSW government music festival safety panel report is another tactic police are using in their campaign against festivals. This is the new policy of turning away punters from an event following a drug dog indication even if no illicit drugs are found on a subsequent search. This tactic was employed at two festivals mid-year. Punters were turned away from the Midnight Mafia festival in May following a search that resulted in no illicit substances being found, while festivalgoers with no drugs were barred from the Above and Beyond festival in June. 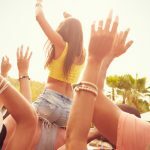 When NSW police officially warned Above and Beyond patrons that this policy would be employed at the event, it implied that a positive indication which results in no drugs being found means that an individual must have been handling illicit substances beforehand. “More police don’t make music festivals safer,” Mr Shoebridge stressed. He went onto point out the fear generated by a heavy police presence can lead people to panic and dangerously ingest all of their drugs at once or avoid attending the medical tent when they need help. The Greens MLC also questioned the extra safety provisions the court ordered Bohemian Beatfreaks implement. This included fencing off surrounding forest. He said that young people “are entitled to have fun” and “assume a small amount of risk camping near a forest” without government interference.